Hummus just cartoon-bombed the Plant Plate! 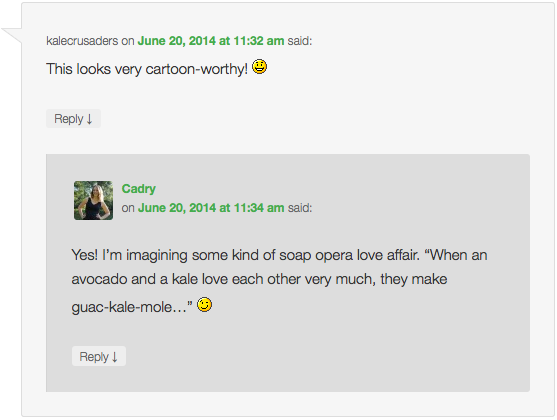 Here at Kale Crusaders, we try to keep up with the latest food trends and movements. 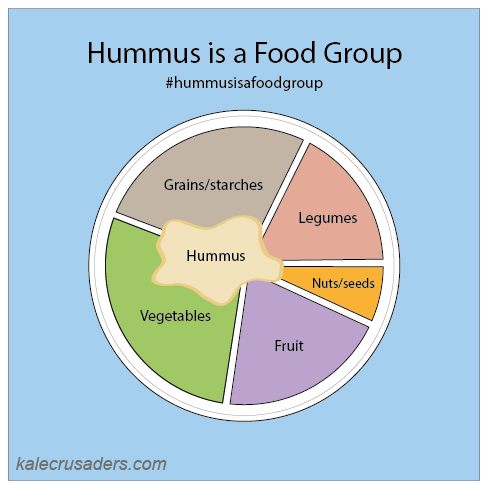 We've been late to one party, though: the "Hummus is a Food Group" phenomenon has been gaining momentum for quite some time now. 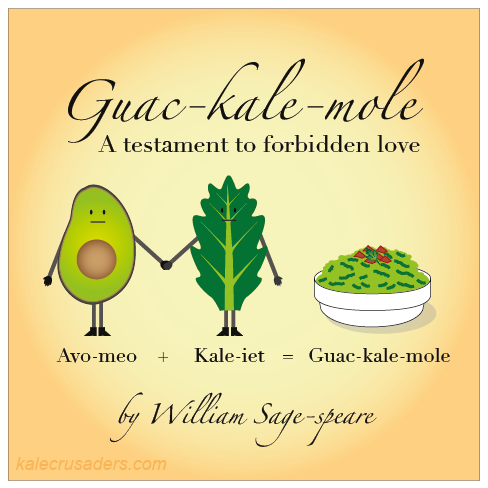 There are already t-shirts and hash tags devoted to this dietary movement. Thanks to Jess from Cupcakes and Kale for bringing us up to speed! Here's a a little disclaimer for the hummus purists out there. "Hummus" means "chickpea" in both Arabic and Hebrew, and many folks from the Middle East insist that that hummus is, in its purest form, a smooth spread made from chickpeas and tahini. Hummus lovers outside of the Middle East, on the other hand, sometimes refer to any smooth bean spread (throw in other ingredients! with or without tahini!) as hummus. Our brains nearly exploded when we first came across this 2-Ingredient Vegan Cheese recipe by Kristy Turner at Keepin' It Kind. Spoiler alert: the two ingredients are heart of palm and nutritional yeast! We recently whipped up this recipe in the Kale Crusaders Test Kitchen, stuffed the cheese into quesadillas, and we were mighty pleased with the results. Kristy, you continue to amaze us with your brilliant recipes! 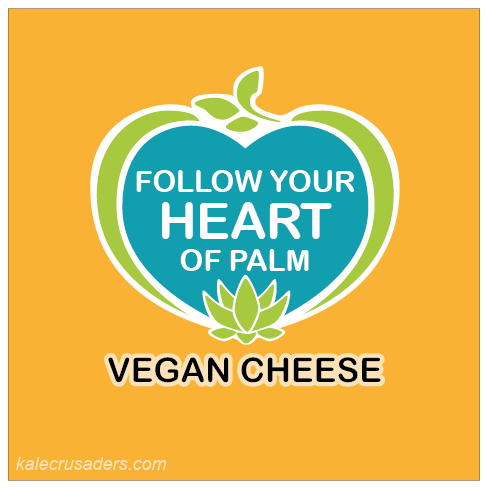 Disclaimer: We have no affiliation with the Follow Your Heart brand of vegan products and we doubt that they are even aware of our little corner of the internet. This biblical fruit has been hyped up for quite a while as a juice and prominent juice flavor. 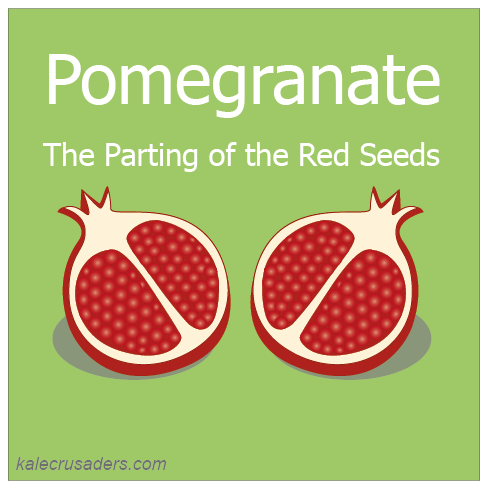 Let's not forget that Pomegranate seeds are quite delicious on their own or as a cool, crunchy salad component! For some inspiration, check out this Purslane and Beet Salad by Joumana Accad at Taste of Beirut and Delicata, Pomegranate & Avocado Kale Salad by Gina Eykemans of So...Let's Hang Out. Heads up! 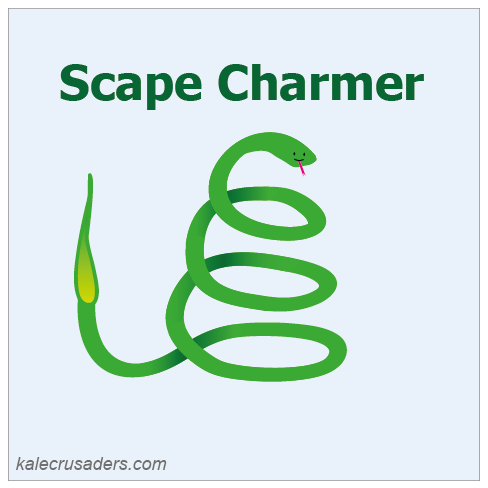 Garlic Scape season is upon us once again! Hurry up before it is too late! Exclamation points!!! Besides roasting, and sauteing, and pulverizing into pesto, Garlic Scapes are a fine addition to Fresh Summer Mango Salsa by Angela McKee at Canned Time and Turnip Green Garlic Scape Chickpea Pancakes by Shannon at Yup, it's Vegan.